The Villa Cary is a small but well located hotel with comfortable rooms for two people making it ideal for couples. You're guaranteed a warm welcome from the English owner who has been a Sauze resident for many years. Rooms (2 people): Pleasantly furnished double bedrooms with TV, mini-safe and bathroom with shower & wc. Half Board. Bed & Breakfast. Continental buffet breakfast and three course evening meal. Christmas and New Year meals included. villa cary is a great hotel to stay at ,the food is good and the family are lovely and if you need anything they are straight to it.The bedrooms are standered but they always clean and tidy them for you. villa cary is placed right next to a bus stop so eaisy access to the ski lift. I think it’s a love or hate atmosphere. Some people were returners to the same hotel but we felt we were at boarding school with strict rules and a feeling of getting told off all the time. The room had everything you needed - comfortable bed, hot shower and was a good temperature. Room was small but we only used it to sleep in so wasn’t an issue. You can store your skis downstairs but not a locked room. We kept our boots in our rooms as the ‘boot room’ was very cold. Breakfast was basic but nice. Dinner was 4 courses - basic salad bar, soup or pasta, then a classic 1960s meal - sliced meat heated in gravy, potato and a tinned vegetable. Salty and not very tasty! And then fruit or ice cream. The ice cream definitely being the highlight of the meal! You have to buy all drinks at dinner including water - they refuse to provide tap water. Drinks are not expensive but a shock when you’re used to the UK. The location is pretty good. A 5-10 minutes walk up the hill to the closest lift. Makes for a great apres ski from the lift to the hotel at the end of the day! There’s lots of restaurants at very reasonable prices so if you don’t like the food there’s options available. 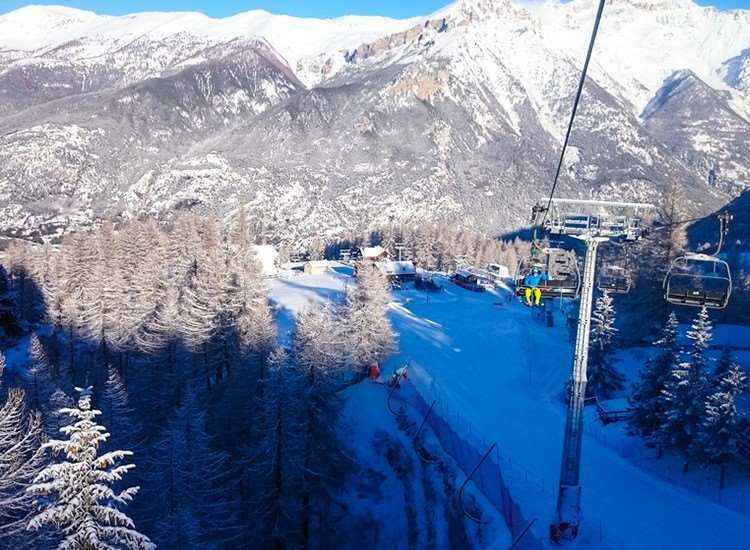 The resort was good for intermediate and advanced skiers as there are mainly red runs and if you ski to neighbouring resorts the only way back is a busy black or public transport. Public transport was easy and cheap - the tourist office can give you details and tickets. We had a little snow on the 1st 2 days but then it became quite icy on popular runs. The weather was fantastic otherwise and made for fabulous refreshment stops on the mountain. We only had to queue for lifts on the Saturday which was great. We would return to Sauze but stay in a different hotel.